The temperature knobs on your gas range goes under daily abuse and use and it may take its toll on the knob eventually. The knob is prone to breaking, whether you use it as gently as you would like, and whether or not it is attached to the most expensive range you can find in the market. You don’t want to replace a range just because the knob broke right? 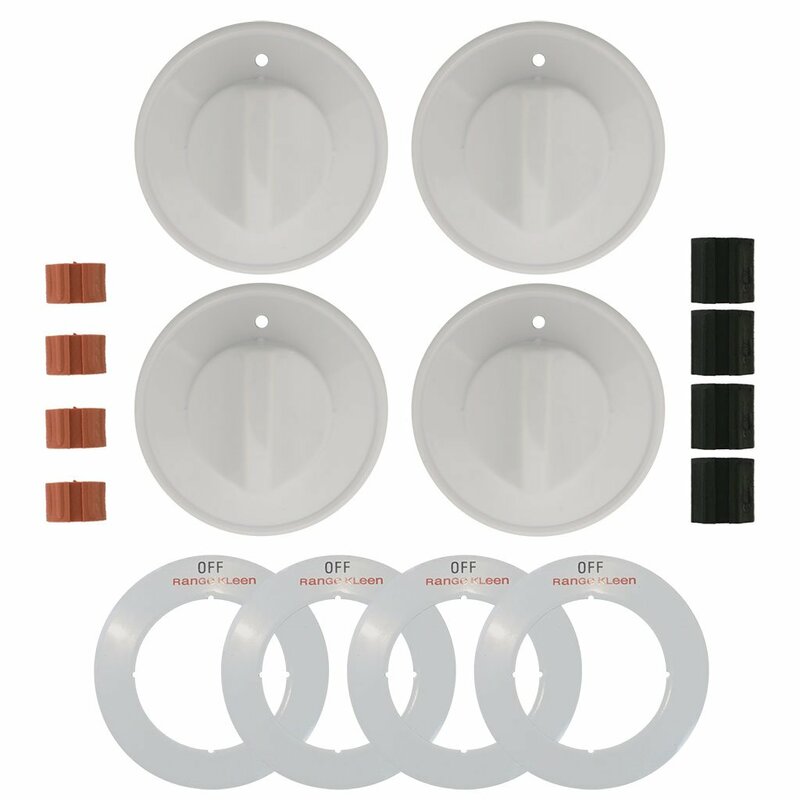 How to install replacement gas range knobs? 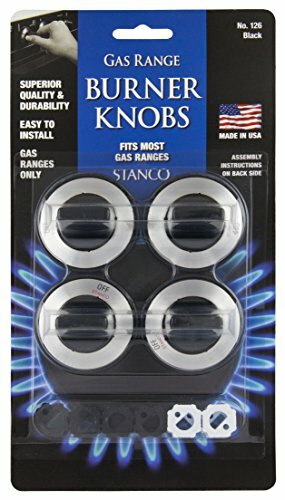 What replacement knobs will work with most gas ranges? A gas range costs thousands of dollars depending on the type you got, whether gas or electric. It may go lower than that, but still, it is very expensive for replacing just because of the knob. The great thing is that there are many brands or manufacturers that build replacement knobs for their respective appliances. These may be a bit pricey though and may not always be available when you need it. Good thing, there are generic replacement knobs that you can buy from major appliance or hardware centers. These replacement knobs are very easy to install and you don’t have to pay for someone to do it for you. With the right instructions, even someone who doesn’t know a thing about repairing or haven’t done a single DIY project may fix or replace his/her own gas range knob. Take note, it doesn’t mean that you can only replace the knob when it breaks, you can always do it as you please, with aesthetics the reason behind it. Some people like to replace their existing gas range knobs because they want something sturdier or they want something with intricate details. Turn all the burners off. You may also want to disconnect it from the gas line if possible. This is so when you twist and remove the knob, the stove won’t accidentally light. You don’t have to remove the hose that connects the stove to the gas line or tank, there are ways to turn off or lock the tank and the gas line. Also don’t forget to wait until the stove is cool. Pull the knobs away from the stove. There are many ways to do this depending on the placement of the knob to your stove. You can just prop it off the stove or twist it a little before pulling. To give you an idea on the right way to turn it, most gas stoves are held in place on a D-shaped shaft by friction. If you find that there are seals under the knobs, you can leave it, as it won’t affect the replacement process. If you experience difficulties getting the knob off the hook, it may be because of dirt and grim build-up underneath. Dry hardened grease may also be the cause of brittleness each time you try to pull it out. To remedy this, spray underneath the knob using a lubricant to break down the hardened dirt. This will make it easier for you to pull it out. If the handle of the knobs is too short and you are having trouble pulling it out, use pliers to pull it off. Buy a replacement knob for your stove if you haven’t yet. Make sure that it is compatible with your stove; otherwise it may be a waste. To know which replacement knob will work, remove your existing knob and take it with you to the appliance/hardware store so you can compare it with the ones they have in there. Take note, most electric and gas range stoves use different kinds of knobs. 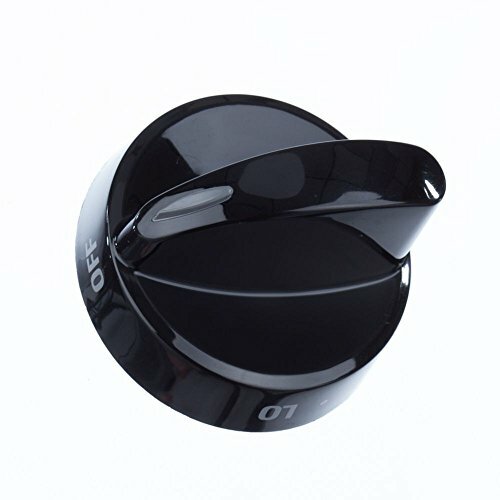 If you are planning to buy a knob that will come from the manufacturer of your range, list down the model and call their customer service or check their website to know where you can get the knobs for that particular model. These are more expensive than the generic knobs, so the latter is definitely worth checking out. With your replacement knob in hand, line up the D-shaped holes into the D-shaped shafts and the push the knob into the shafts. Twist and turn gently to check that it is effectively fixed. You shouldn’t feel any looseness as you do this. Afterwards, connect the range back to the gas supply and turn the burner on and off to check if the new knob is operational. As previously mentioned, there are several brands of replacement knobs that are universal, meaning they can fit in most types of ranges. However, it is still worth checking, just to see if your range is compatible. Some ranges, such as in the case of LG, have different connecting holes and shafts aside from the usual D-shaped. 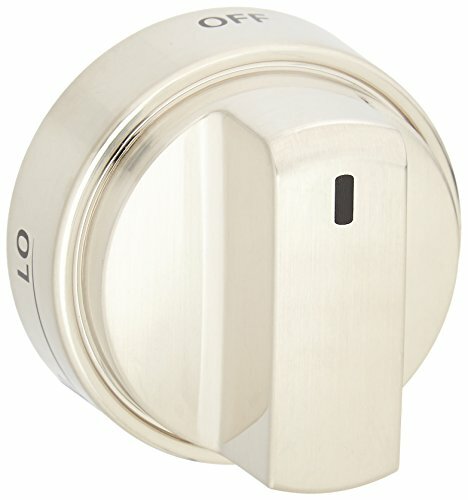 As you may have noticed between the two, the universal knob is way cheaper than the replacement coming from the manufacturer. Repairing or replacing your gas range knob is not really a difficult job. Even someone who doesn’t have prior experience with fixing stuff can do it perfectly fine. The instructions are also pretty easy to follow and the time spent replacing the knob would only take only roughly five minutes of your time. The only real challenge with this is finding the knob that works for your range. Not all universal replacement knobs can fit all models. Some ranges that need the knob from the manufacturer doesn’t always have it in handy, especially if the range is an older model. You would want to read more on slide-in electric ranges with our article, "What are the best Slide-in Electric Ranges? ".